Awaken: The Creative Journal of Contemporary Bioethics is a first-of-its-kind online journal at Wake Forest University dedicated to exploring and understanding the field of bioethics through the publication of creative, fictionalized short stories. The stories published in Awaken utilize the creative literary process to discover and expound upon contemporary bioethics issues. Awaken is supported by the Wake Forest University Center for Bioethics, Health, & Society and is directed by Professor Christine Coughlin, Professor of Legal Writing at Wake Forest University School of Law. The Journal was founded in the Spring of 2013 under the name Biosethikos, highlighting the origins of contemporary bioethics and tracing changing discourse. Staff changed the name in the Spring of 2017 in order to broaden inclusive topics and better affiliate with the university. The Journal staff hopes to foster a culture of broadening perspectives through creative reflections. 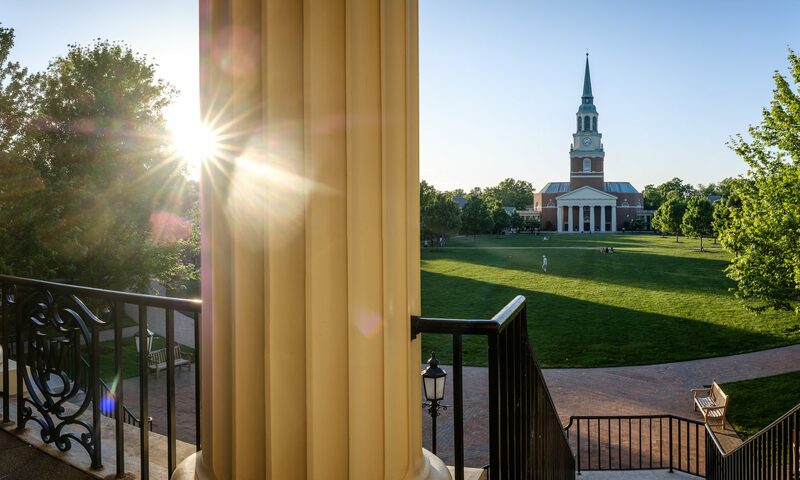 Publication opportunities are available both to students at Wake Forest University and to other authors not affiliated with Wake Forest who wish to publish creative works on the topic of bioethics. For further information concerning publication opportunities, please see our “Submit A Creative Work” section.